Below you will find plenty of advice regarding good heart health form our team of wellness experts at Erin Mills Optimum Health in Mississauga. Enjoy the information and contact us if you need help implementing it into your life! There is a pdf at the end of the blog that summarizes the topic of good hearth health from the holistic perspective. I was suggested this book by a Mississauga patient of mine and greatly enjoyed it. 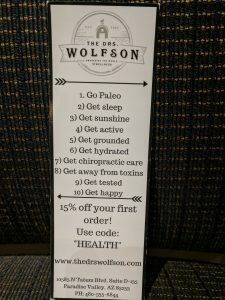 The Author, Dr. Jack Wolfson, is a cardiologist who was opened up to the wellness paradigm when he met his wife, a Chiropractor. His life views were challenged and he was able to realize where he was approaching his health, his patients’ health, and his work approach from an improper angle. Changing his perspective towards a wellness paradigm helped him and helped countless others with their heart health in particular, but their health in general. 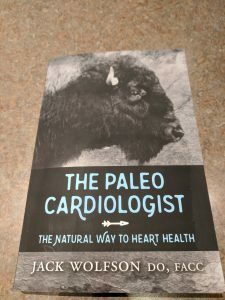 The Paleo Cardiologist goes through many practical ways in which you can impact your heart health, from a more natural perspective that aims at avoiding unnecessary medical procedures, tests, and drugs. The author argues with science, data, clinical experience, and patient stories at how getting the body back into an environment that it was developed for allows for it to work properly again. Treat it well, and it does well. Treat it poorly, and it has difficulty keeping up. Cholesterol, the Paleo diet, Nutrition, Anti-Depressants, medications, toxins in the world, heavy metals, sleep, inactivity, water, Chiropractic, supplements, and blood tests. I am a Chiropractor, and not a Cardiologist, but I have been made aware of the problems regarding cholesterol lowering drugs. Dr. Jack Wolfson’s chapters on this topic are a great primer for those that have not heard of the concern before. Check it out in his book or look up the research yourself. Being a Chiropractor, I am aware of the impact that the spine and nervous system can have on the heart, cardiovascular health, and well-being in general. Routine daily activity can wreak havoc on your spine. Chiropractic care restores health and function to your brain, nerves, and entire body. It is amazing to read a book like this with so much advice from an expert in his field who has lived and has worked in both paradigms of heart health. I learned a lot from this book and I know you will too. Heart rate variability is a phrase that you will begin to see more and more. We have been seeing it in the Chiropractic research literature for some time now and I have also begun to see it in fitness magazines. Interstingly, the new smart watches measure and update you about your heart rate variability. But what is it? Heart rate variability is an indicator of your body’s abilty to adapt, or your adaptability. The heart rate is controlled by the nervous system in your body. The nervous system has two states (sympathetic and parasympathetic). The heart rate innately want to go fast, but your brain and nerve system slow it down by using the parasympathetic nerves. When you are excercising, your heart rate gets put into a steady rythm to keep up with your demands, this is a sympathetic state. When you are resting, your heart rate should be more variable. This is when you are in a more parasympathethic state. You want a higher heart rate variability to indicate a better state of health or rest. Who uses Heart Rate Variability? Many different fields of study are using Heart Rate Variability for many different things. Interestingly, your Heart Rate Variability can be a good indicator of your ability to adapt. Being able to adapt is a big indicator of your health. In Medicine, heart rate variability can be used as a prognostic factor regarding patients with heart health problems, such as heart attacks, as well as cancer patients undergoing extensive treatment. If your body has the ability the adapt to your challenges, it has a much better chance of surviving and recovering! 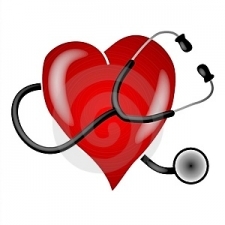 How does Chiropractic play a role in Heart Rate Variability? Chiropractic has a large focus on the most important part of your body! The brain and nerve system. By contacting the bones of the spine, Chiropractic can reduce the interference and stress that is placed on the spinal cord. A spinal cord that is under stress will be in a more sympathetic state, with a lower variable heart rate. In adjusting areas of stress in the spine, that are called Subluxations, Chiropractic adjustments can impact a person’s heart rate variability and allow the body to find a natural balance in the sympathetic and parasympathetic system. The impact of cervical manipulation on heart rate variability. Valentine’s Day is around the corner and just about every store is packed with display hearts. But before you dig into othose boxes of chocolates, use this month as the starting point for a renewed commitment to a heart healthy liftstyle. To help you on your way, we devote this issue of Wellness Express to methods of keeping your ticker in tip top shape. Health experts recommend fish because it is an excellent source of omega 3 fatty acids. These fats offer profound health benefits. A diet high in omega 3 acids help stop arteries from getting clogged, reduces cholesterol levels and soothes inflammation. The fish that are the best sources of omega 3 are sardines, salmon, halibut, mackerel, herring, rainbow trout, and tuna. 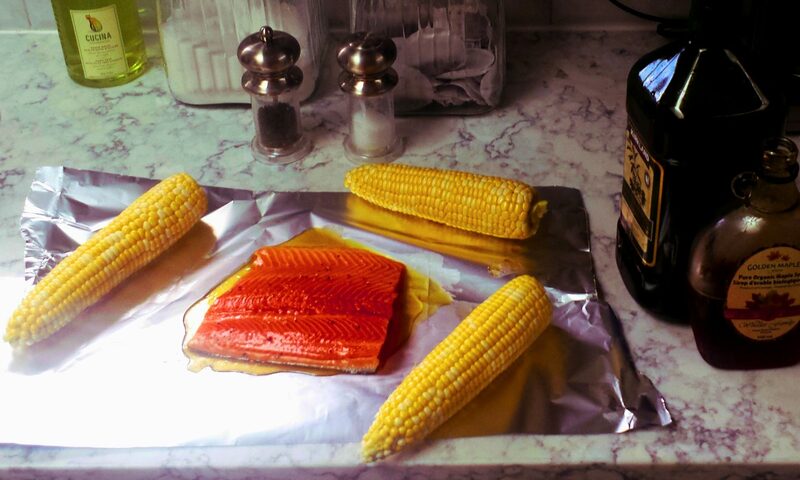 Here is a great summer meal idea by Rick Sturch including Salmon! Check out the recipe on his Blog! Inflammation is a key component in heart disease. Along with fish, anti-inflammatory foods include berries, kale, spinach, and broccoli. Research conducted by the American College of Cardiology found that a diet rich in these plant-based foods slashes inflammation, cuts triglycerides and keeps blood sugar levels balanced. The good news is even moderate amounts of exercise can bring great benefits to your heart. The American Heart Association reports women who walk at lease two hours a week at any pace had a 30% lower rick of stroke. This is good guide for healthy heart!